If you've got a family of four, you're probably aware that your transportation needs could be fulfilled with a car rather than a crossover. But many families of four are opting for an SUV anyway, because they seek the advantages an SUV offers. Among those advantages are greater carrying capacity, better visibility from the driver’s seat, and easier access for passengers. Luxury brands have caught onto this trend in a big way, and just about every month a new luxury-brand SUV or crossover comes on the market. American consumers are demanding SUVs, and the carmakers have responded. 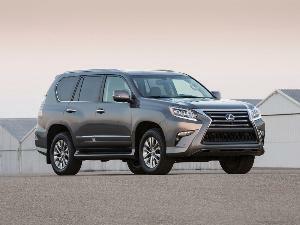 But a large number of entrants means the choice of the right luxury SUV for your family of four can be a challenge. As always, we are here to help. Here are the 10 best luxury suvs for a family of four. 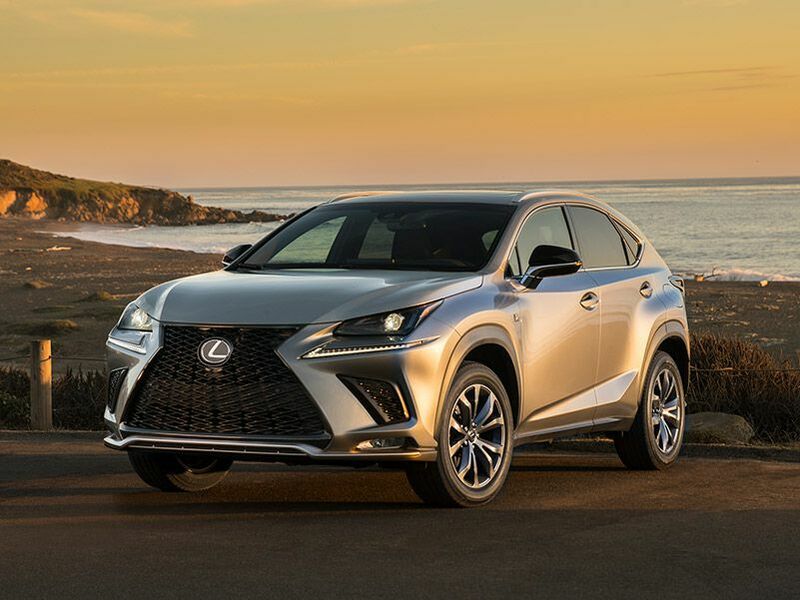 The Lexus NX lives in the shadow of the larger RX, but it could be just the right size for your family of four. The highly styled exterior is your gateway to a much more conventional (and comfortable) interior, filled with amenities. Two powertrain choices are available: a conventional 2.0-liter turbocharged four-cylinder offering 235 hp, or a hybrid powertrain that combines output from a 2.5-liter Atkinson cycle four-cylinder engine and a small, high-torque electric motor, for 194 total system hp. Designers carved out plenty of room to carry passengers and gear, with storage available in four compartments beneath the cargo floor. The standard 60/40 split rear seat offers a power-folding option. The power-folding seats and the available power rear door can be operated by switches on the instrument panel, door, and wireless remote. If you want to add some sports-car-oriented zest to your family SUV, the BMW X3 could be the ticket for you. First and foremost, BMW builds driving enjoyment into every vehicle they manufacture — it’s in their DNA. So the BMW X3 is more fun to drive than many others on this list. 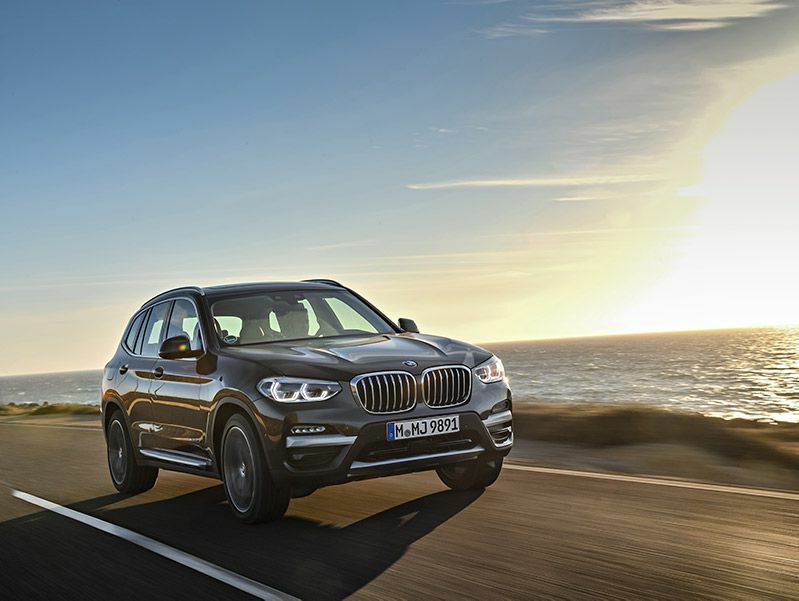 With all-wheel drive and the standard 248-hp 2.0-liter turbocharged engine, the BMW X3 will handle bad weather and grocery-getting with equal ease. The chassis and suspension tuning work in harmony with the engine’s power, which is channeled through its eight-speed automatic transmission with manual shift mode. The X3 might be a tall 3-Series, but in its heart, it's still a 3-Series. 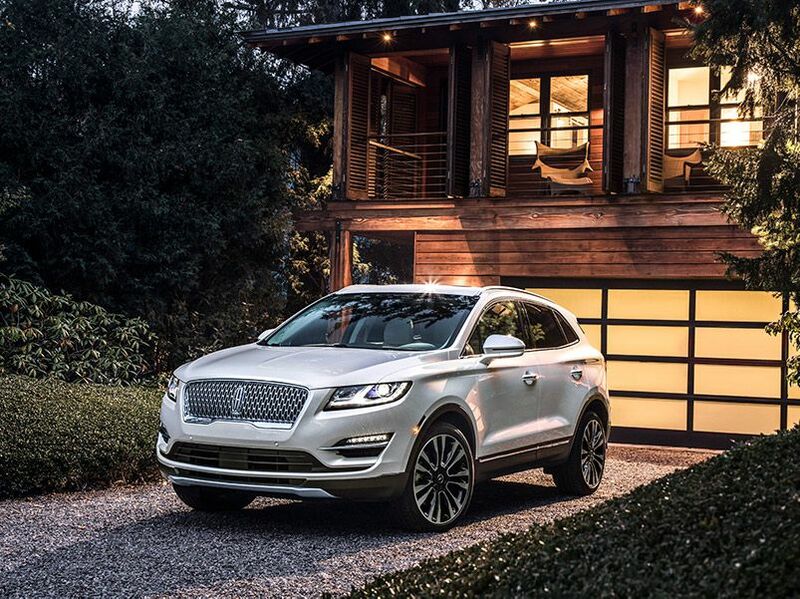 The Lincoln MKC crossover offers attractive styling and an abundance of equipment, and its tidy size contributes to its ability to dart around town and country. It also is among the biggest bargains in luxury suvs. While performance drivers might not appreciate its emphasis on comfort, it is likely your family of four will. The infotainment system is a knockout with 8-inch touchscreen and nine speakers. The option list includes a panoramic sunroof, collision mitigation system, and automatic parking system that takes the worry out of parallel parking spots. The turbocharged 2.0-liter four-cylinder engine offers 240 hp and 270 lb-ft of torque for responsive acceleration. 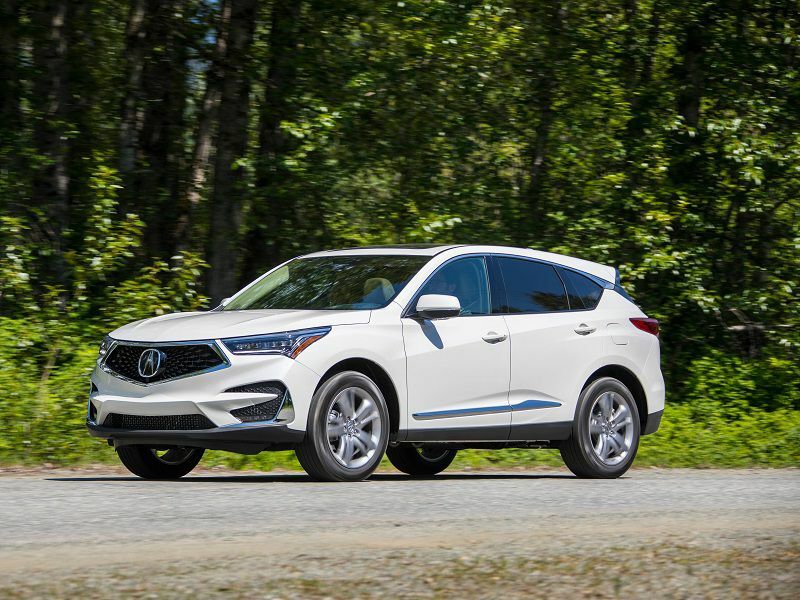 All-new for the 2019 model year, the Acura RDX is a useful and versatile crossover suv that also is fun to drive. It is powered by a turbocharged 2.0-liter four-cylinder engine that delivers 272-hp and 280 lb-ft of torque, making this Acura crossover one of the hottest in the class. Low-end torque with the new powerplant is up 40 percent versus the normally aspirated 3.5-liter V6 that propelled the previous version, and you’ll appreciate the difference. The new RDX also offers a segment-first 10-speed transmission, and the available Super Handling All-Wheel Drive isn’t just for bad-weather traction; it also improves overall maneuverability. Inside, the infotainment system can be controlled by a distinctive touchpad or voice-recognition software. While the Porsche Macan has surprising off-road capabilities, its on-road performance is what will really charm you. The Macan’s precise handling and sporty acceleration will make you wonder if it really is a crossover. 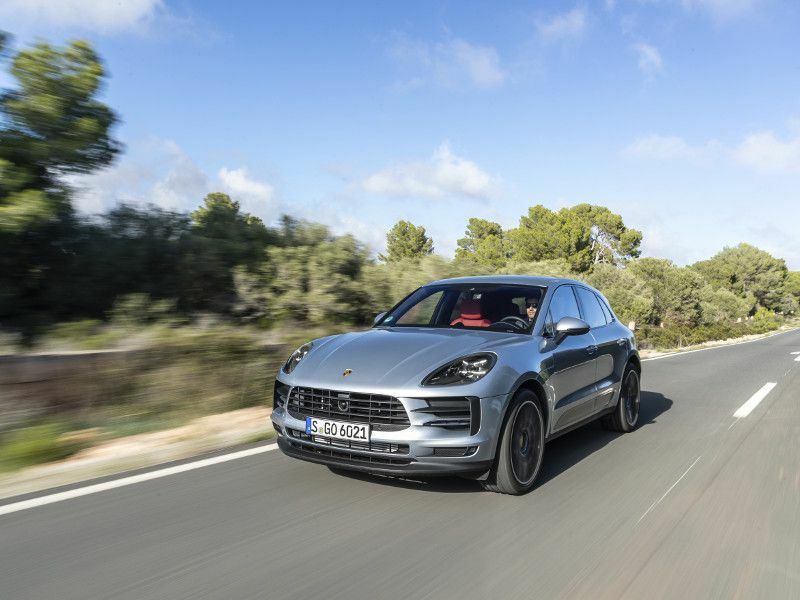 Its sophisticated suspension, willing turbocharged engine, and available performance upgrades like carbon-ceramic brakes, separate Porsche’s small crossover from the pack. 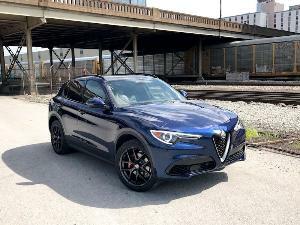 The 2.0-liter engine delivers 252 hp and 273 lb-ft of torque, and those who want to go the full-performance route can order adaptive suspension, 20-inch alloy wheels, and a two-screen rear-seat entertainment system. More in keeping with the family-car theme, a collision mitigation system, power-operated liftgate, parking camera system, and front and rear parking sensors make everyday driving easier. 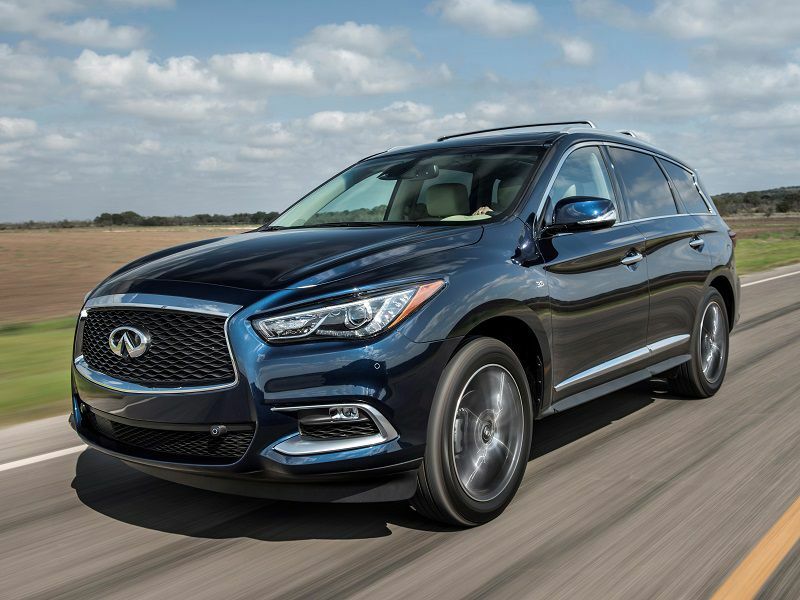 The Infiniti QX60 takes luxury, design, and convenience up several notches from its sister ship, the Nissan Pathfinder. The QX60 uses Nissan’s excellent 3.5-liter V6 engine, which delivers 295 hp, making the crossover one of the most responsive in its segment. The engine is mated with an electronically controlled continuously variable transmission, but the “D-Step Logic” enables it to mimic the feel of a conventional transmission. The QX60 offers a third row of seating, and access to the third row is easy due to the long travel of the sliding second-row seat. That solves the problem of having to remove a second-row child seat to enable others to get in or out. The QX60’s options list includes leather seats, heated steering wheel, 15-speaker Bose audio system, and a 110-volt power outlet. 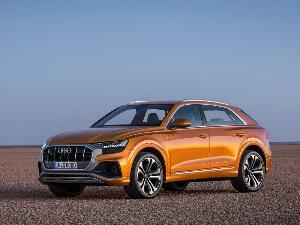 The Audi Q5 sports a well-tailored design, prompting many to say it is one of the best-looking luxury crossovers available for small families. And as much as we like the exterior, we like the handsome, ergonomically correct interior even more. 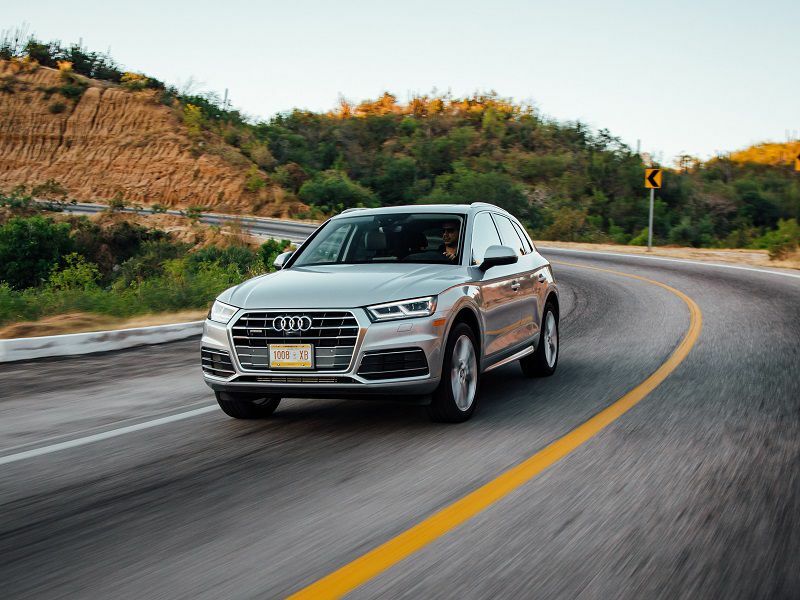 A handy size great for city and suburban driving, the Audi Q5 is powered by a 2.0-liter turbocharged four-cylinder engine that delivers 252 hp. It’s backed with an 8-speed Tiptronic automatic transmission. All-wheel drive is standard and a number of electronic driving aids are available, including lane-change alert with side blind-spot alert, rear cross-traffic alert, adaptive cruise control with stop/go, and traffic sign recognition. 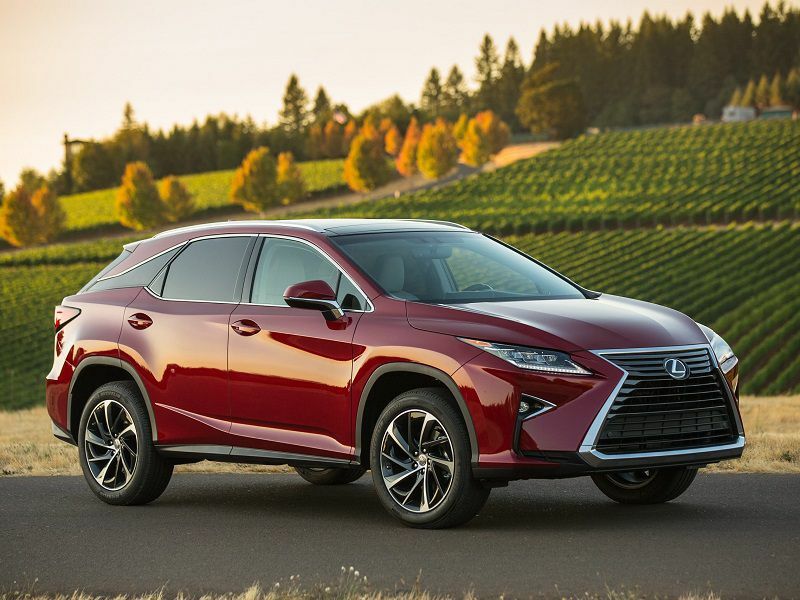 The Lexus RX is larger than most of the vehicles on this list, and that has its own benefits. But we included it because when it comes to luxury family SUVs, the RX traditionally has been a sales champ. Luxury buyers love its combination of sumptuous interior, trouble-free operation, and comforting customer experience. With ample room for five passengers, the RX offers a lowered rear floor that provides a seating position comparable to that in a luxury sedan. Behind the rear seats, the cargo area can accommodate plenty of gear for family vacations. With more than adequate power, the Lexus RX 350’s V6 engine delivers 295 hp. And it offers the choice of front-wheel drive or all-wheel drive. A hybrid version, the RX 450h, features 308 combined system horsepower and impressive 30 mpg combined EPA-estimated fuel economy. 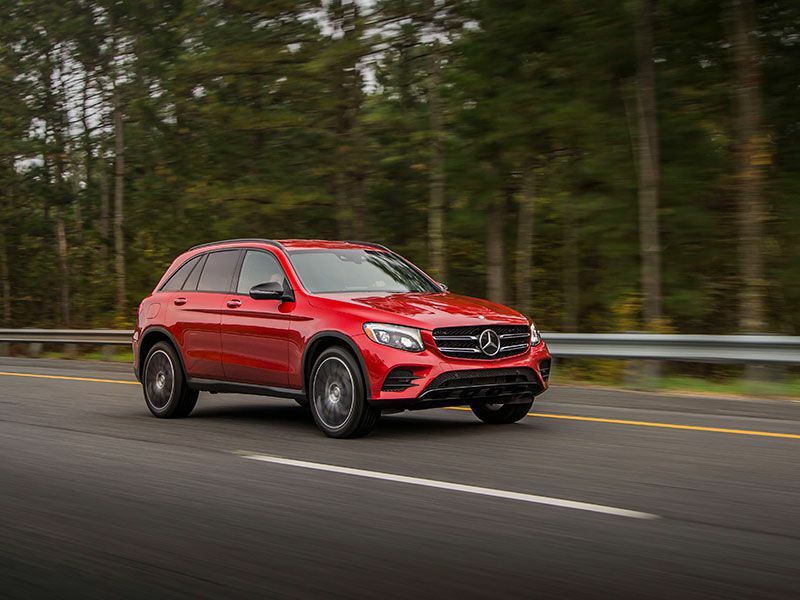 The Mercedes-Benz GLC has challenged the Lexus RX for the sales lead in the luxury crossover segment for a number of reasons. It is good-looking; it handles well; it offers a useful amount of interior space; and it is a Mercedes-Benz through and through. The GLC is great-looking from every angle, but there is more to the five-passenger crossover than just good looks. 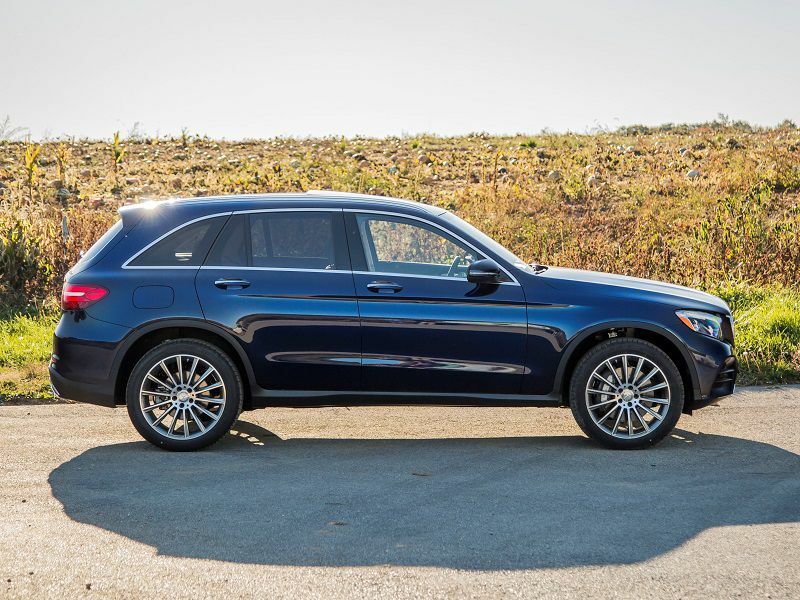 With its standard adaptive shock absorbers and turbocharged 2.0-liter four-cylinder engine, the GLC offers a very pleasant combination of acceleration, handling, and comfort. The engine produces 241 hp, and shifts are almost imperceptible. The inventive and well-configured instrument panel is at the top of the segment, and the 14-speaker Burmester audio system delivers terrific sound quality. If you seek Scandinavian design, innovative engineering, and uncompromising safety in a midsize crossover SUV, the Volvo XC60 is your ticket to ride. Sharing its platform with the larger, more luxurious XC90 SUV, it gets the benefit of many of that popular SUV’s features. XC60’s interior offers casual sophistication, and it is highlighted by a mammoth center-mounted infotainment touchscreen. 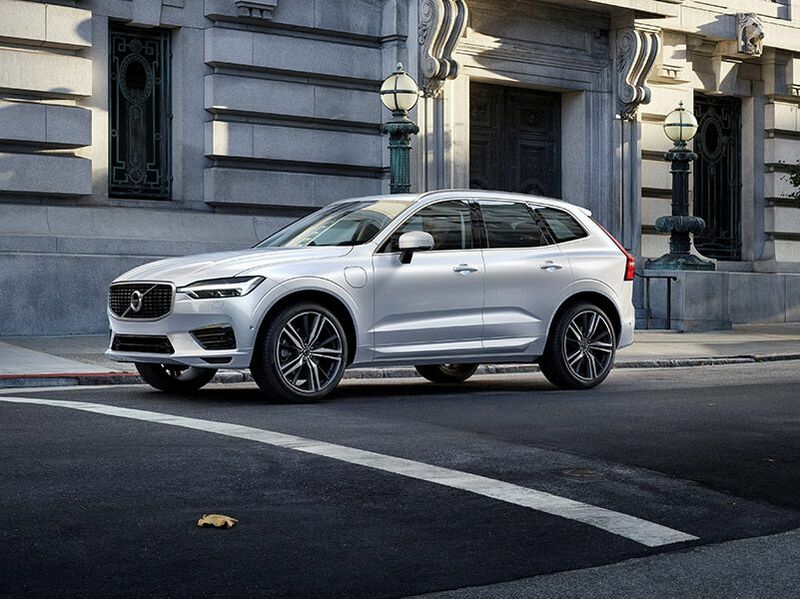 Of course, the XC60 has an emphasis on safety with automatic emergency braking and lane-keeping among the standard equipment, and a semi-autonomous driving mode is offered as an option. Several powertrains are available, including a plug-in hybrid. The base engine is a turbocharged, 2.0-liter four-cylinder engine offering 250 hp. 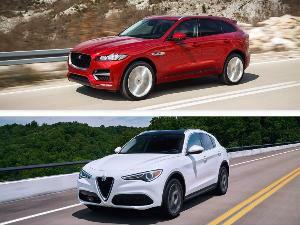 2019 Alfa Romeo Stelvio vs. 2019 Jaguar F-PACE: Which Is Best? 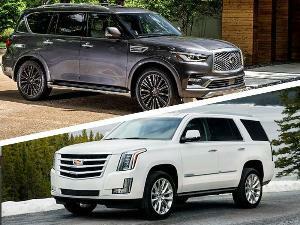 2019 Cadillac Escalade vs. 2019 Infiniti QX80: Which is Best?